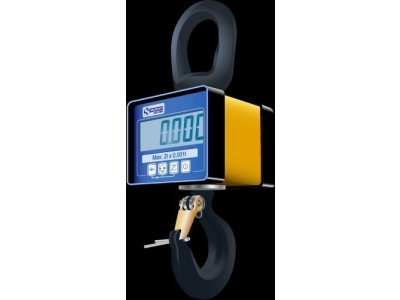 This crane weigher scale will suit most lifting applications. Available in capacities from 100kg to 5 tonnes. Peak hold, pre-set tare, audible setpoint alarm and overload counter. Supplied with high quality Crosby hook and lifting eye. Other fittings such as Gunnebo or rod ends are available on request. Capacities up to 1 tonne supplied with carry case. A non-indicating radio version is available on application.